Last year, I decided that I was going to travel for a few months while managing a travel blog, continuing remote work and maintaining a long distance relationship. You may think that planning out flights, accommodation or scoping out reliable WiFi was the most of my worries, but actually maintaining a healthy diet was on the top of my list. I am sure a lot of people would scoff at the fact that this was my biggest fear, but it was real and many other people can identify with this anxiety. After months of establishing healthier dietary habits, it is very difficult for most to imagine not cooking or meal prepping like they usually do and an even scarier thought is slipping up and having to start all over again. In 2013, Hamilton Stapell, a historian at SUNY-New Paltz estimated through an online survey that between 1 million and 3 million Americans have adopted a very specific diet: the paleo diet HERE. Since this accounts for 1 percent of the American population, there is a strong likelihood that some of these people also find themselves traveling from time to time. Traveling while paleo may seem impossible, but we’ve come up with a game plan that can keep you on track and also reduce any unnecessary stress. For those who still have their doubts, trust me, you can stay paleo…it’s a no grainer. Obviously, we all wish we could have pre-made meals or fresh fruits and vegetables always readily at hand, but the fact of the matter is that Whole Foods will not always be there for you. Instead of throwing your phone at a wall and calling me a liar, just accept the fact that when traveling in the U.S. there are pretty much only gas stations or fast food places to choose from when it comes to food on the go. I know you don’t want to eat that one slice of deli meat that comes on a gas station sandwich so make sure you prepare ahead of time. Having a supply of food at your disposal can be done by collecting canned fruits and vegetables, but this isn’t the easiest solution. 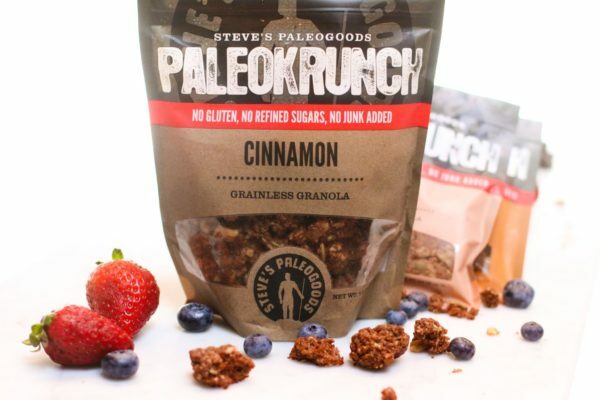 Luckily, Steve’s PaleoGoods has an exceptional array of paleo snacks such as: PaleoKrunch granola cereal, PaleoJerky and PaleoKrunch bars. 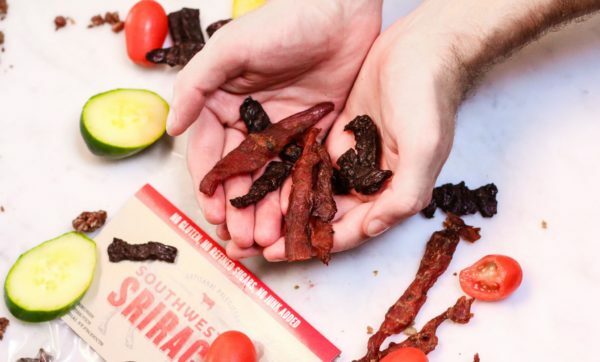 The granola bars come in flavors like pumpkin and tropical whereas the jerky is offered as Chipotle Honey Chicken or Southwestern Sriracha PaleoJerky. These snacks are great because not only do they taste delicious, but they also keep you feeling full and satisfied. From savory to sweet, these snacks can satisfy any palate thus making it easy for any traveler to avoid any state of “hanger” when getting from point A to point B. Preparing ahead of time with paleo-approved snacks is an excellent way to stay on track, but what if you run out? Or what if you have no choice but to choose from a limited selection of food that is available and don’t know what is paleo? 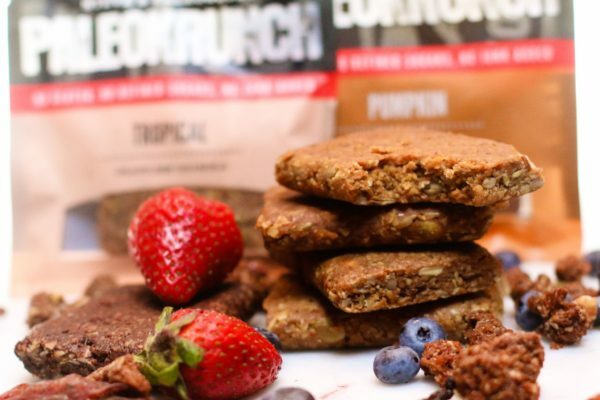 Sure, we have touched on this topic before (https://ultimatepaleoguide.com/eat-paleo-on-the-road/) but this reference guide can be a hassle scrolling through and it doesn’t include every food that you could encounter when traveling. Instead, download the paleo.io app, which does all the work for you. All you have to do is input the food in question and it basically tells you whether you can or can not eat it. Avoid any awkward situations and download the paleo.io app and just let paleo.io answer all of your paleo-related inquiries. 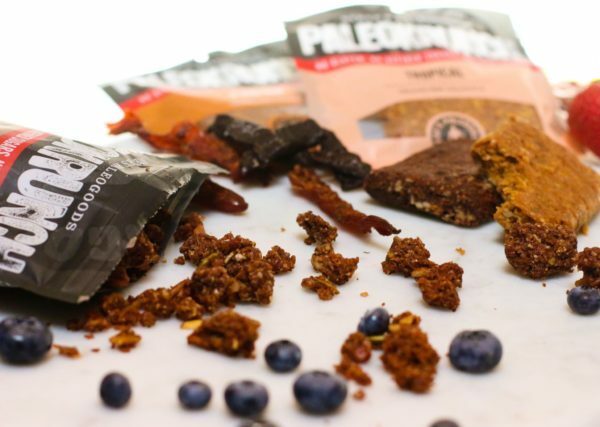 There is no doubt that you’re off to a great start by having Steve’s PaleoGoods snacks ready and also the Paleo.io app on hand to tell you whether something is paleo or not. Next, have some fun and get creative! Did you manage to snag some fresh fruits? Pair that with the PaleoKrunch granola bars and you got yourself some breakfast. Did you find out that the yogurt you were eating was actually made from coconuts? Throw some of the PaleoKrunch granola cereal in there and boom, you got a dessert. Don’t be afraid to bring snacks into the world of main meals. It’s an easy and fun way to mix it up when on a road trip and you can definitely wing it on a long flight. For those who are traveling in the short run, these three steps are a surefire way to help you stick to your goals when it comes to being paleo on the road. However, there may be a point where you have to choose between sticking to an original plan and going with the flow. If you find yourself in another country and are invited to share a meal with a local family, it will probably be difficult to check the paleo status of the food being served. Additionally, it can be seen as rude or offensive if you don’t accept a dish that is being offered to you. Therefore, it is important to accept that there may be moments where you need to let loose, but it doesn’t mean that you have failed. Adaptability is key and this can be seen through having one “not-so paleo” meal followed by two “definitely-paleo” meals. Many people find a balance when traveling, which means that you can too. Traveling domestically or internationally is a thrilling, invigorating and sometimes even nerve-wracking experience. In particular, those who have set routines back at home may feel a bit of anxiety when thinking about going outside of their normal daily pattern. Eating and traveling shouldn’t be stressful, so if you are nervous about not being able to cook and meal prep all your meals, just take preventative measures. 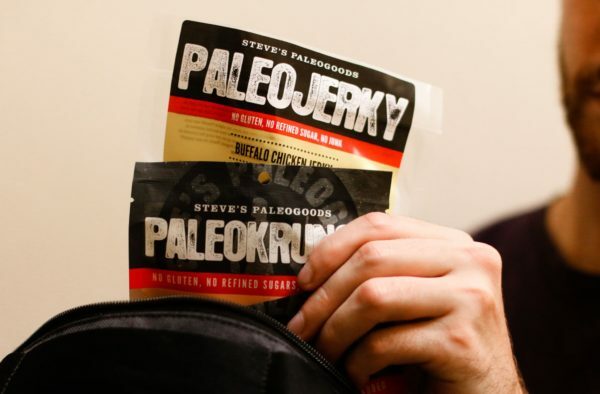 First, have a supply of snacks on hand and take a look at Steve’s PaleoGoods for some inspiration. Next, download the paleo.io app to make sure you can check if any food is paleo-approved. Then, don’t be afraid to get creative and mix it up with the foods you find and the snacks you’ve brought along. Finally, accept the fact that not everything is in our control and you might have to accept some non-paleo foods when on the road. Despite this, you can always reboot and bounce back to your usual healthy habits. Whether you are traveling for a couple of days or a few months, following these steps will definitely steer you in the right direction. Remember to keep calm, carry on and eat paleo (as much as you can).